Benefit from training with an expert! Steven Lloyd offers training like no one else in his field. His life and career changing training offers a hands-on approach that is truly life and career changing. 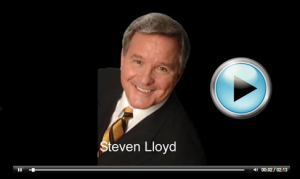 Whether you are looking for someone to revolutionize your business or just need to give your team a little “Why to, What to, and How to,” Steven Lloyd is the leader that you need to help you! He teaches you how to persuade your client, motivate your team and get results! Not only does Steven Lloyd fill your team with energy and motivation, he uplifts them to do their best. His approach is an exact step-by-step blueprint of how to proceed, and he gives you the tools you need for success. Training with Steven Lloyd is insightful, energetic and easy to retain and to apply right away. Call Steven Lloyd now to discuss your personal training plan. Steven Lloyd training is truly a hands-on experience like none other. He has invested his entire adult life searching for, creating, testing, and proving success systems that cause the desired results. His approach and presentation leaves each person who is open to new and powerful success secrets, a true blueprint of exactly how to find, approach, present, and achieve what you want and need. Steven Lloyd makes this process fun, simple, easy, and yet, his message and information get’s results! Pick up the phone and call him now!